BARCELONA -- LG on Sunday introduced the G6 smartphone with a 5.7-in. display in a new 18:9 aspect ratio that is designed to enhance videos and game play. The phone also comes with a bigger 3300 mAh battery -- 500 mAh more than the LG G5 -- that includes heat pipes to dissipate heat, similar to the way some laptops disperse heat. Battery heat is a current concern of smartphone makers, especially after Samsung Note7 Lithium Ion batteries overheated last year, prompting a worldwide recall of the devices. 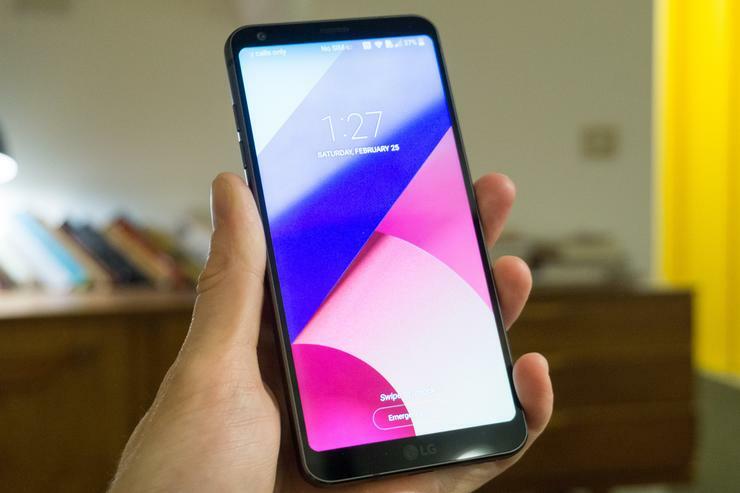 The G6 looks to solve the dilemma of smartphone users who want both a large screen and a small enough handset to be used with one hand, LG officials said. Consumers want a "big screen but not a bigger phone," said Juno Cho, president of LG Mobile. He spoke during a theatrical launch event here prior to the Monday opening of Mobile World Congress. "The LG G6 offers a big screen that fits in your hand. "Our data shows that consumers are so much more intelligent about smartphones now, and want not just the fastest or flashiest designs," he added. "They want a device that offers innovations and gets the essentials right, a balance between core elements right." Another new feature in the LG G6 is Google Assistant. In a demonstration at the launch event here, an official asked, "Ok, Google, show me photos of the best things to do in Barcelona." The phone came back with text listing on the display of several tourist sites. After asking what photos can be shown of a popular site, the Sagrada Familia cathedral, Google Assistant produced not only web photos, but photos from the user's own prior photographs of the site. The phone includes a 13-megapixel rear and a 5-megapixel front camera and runs the Qualcomm Snapdragon 821 processor with Qualcomm's Quick Charge 3.0 capability. It is also water- and dust-resistant. LG didn't announce pricing or availability, although some reports have said the phone will ship before the copeting Samsung Galaxy 8, which is due to be announced next month.